Dan Mogford has been working as a graphic designer for over twenty years, across a variety of areas including branding and music packaging with a particular focus on design for the publishing industry. 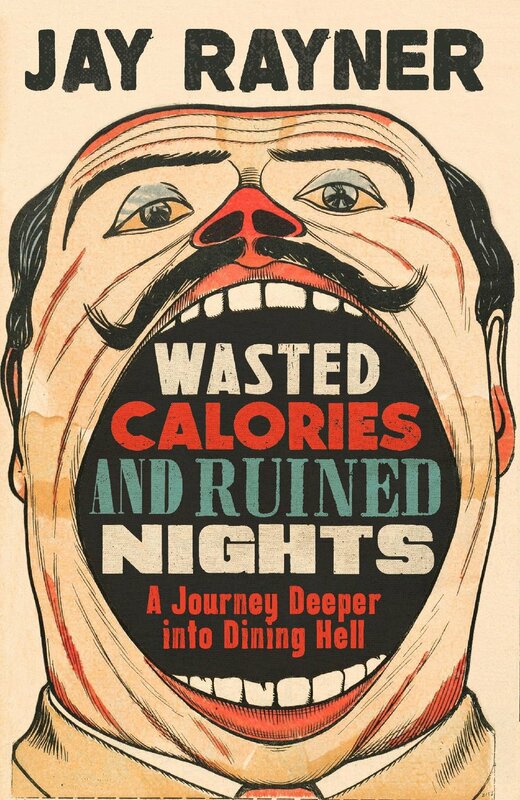 Here he explains his process for creating the cover of Wasted Calories and Ruined Nights. This was one of those jobs where the almost perfect image was literally hanging around my studio. The illustration the cover is based on is from a French children’s comic of the 1930s and has been stuck up on my wall for as long as I can remember just waiting for the perfect job to come along. 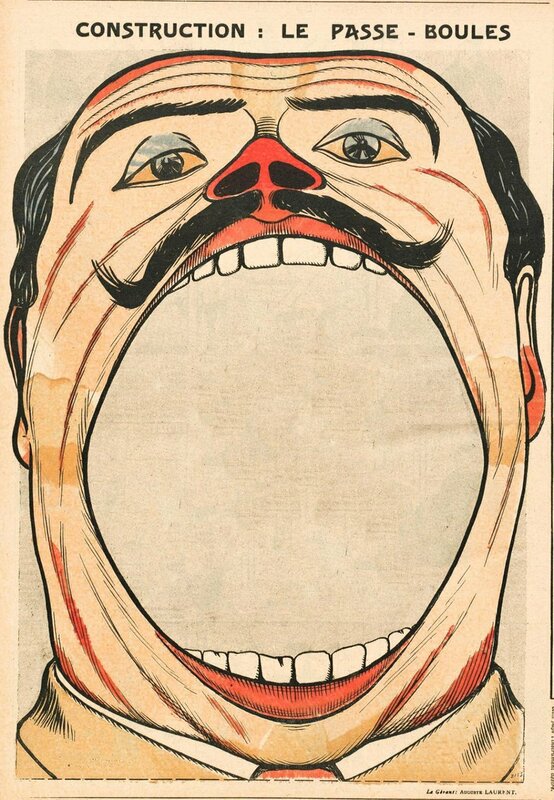 It’s one of those ‘cut-out-and-make’ type games that kids used to do on a rainy Sunday before iPads were invented, the idea being to toss balls into the gaping mouth of the hungry fella. The first draft cover went down really well with the Faber gang and also Jay himself but there was a small request from the author to see if we could make the face a little more like his. I set about cutting and pasting to add Jay’s distinctive facial hair and simplified the colours on the type to make the whole thing more coherent and that was that, we had approval on the design across the board. Kudos to Mr Rayner for embracing a slightly less than flattering depiction of himself!